← I Received Some Great Fabric Cards This Week. Well I read a lot of blogs at night. I find something in all of them that I love. One of my favorites is www.joythebaker.com. I think if you visit it you will agree with me. 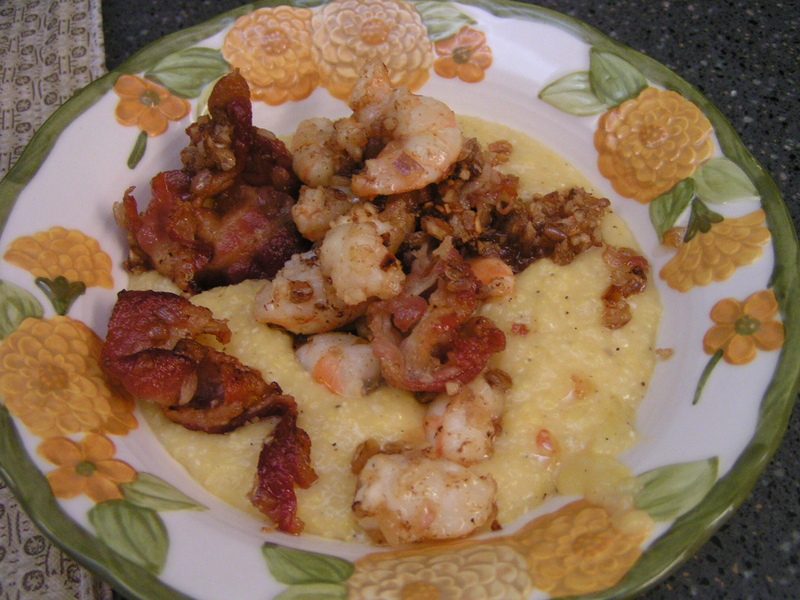 I was looking for a shrimp and grits recipe and not surprised one bit, she had it on her site. She stated she adapted it slightly from Bobby Flay. I adapted it slightly from Joy. I wish I could take credit for it but I can’t. Tonight I decided to make my shrimp and grits using the recipe. Here goes! I found these great shrimp at Whole Foods. I just can’t seem to bring myself to buy shrimp from Thailand and other foreign countries. These came from Key West Fl. 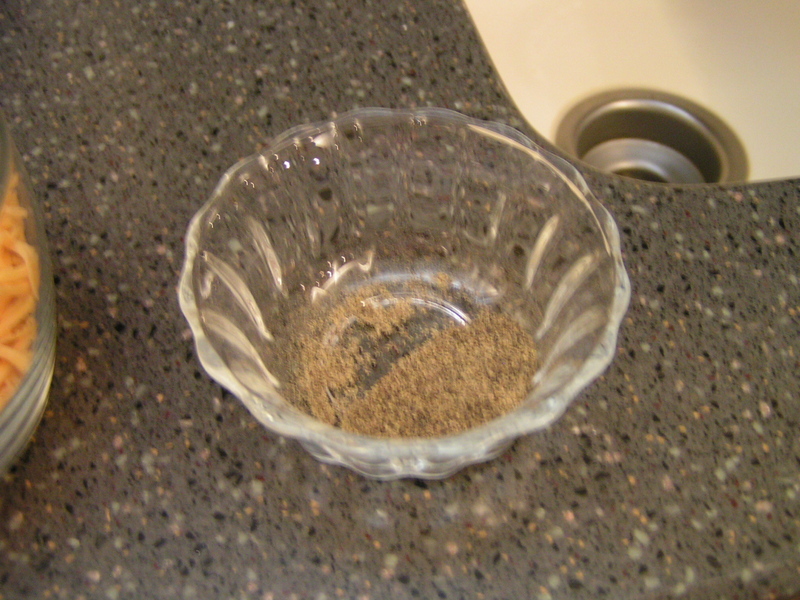 I took some and put in water in my old trusty Tupperwear bowl I have had since the 70’s! I just can’t part with it. First you needed 4 cups of water. I have a bar sink down by the stove. I could not do without it. Off the subject but if I EVER get another stove and it is black colored I want you to personally come here and kick me.. It does not matter how hard I clean or how hard I scrub with what including Ajax it still does not look clean. I am thinking about asking this man I know that paints cars to come get it and paint it turquoise! 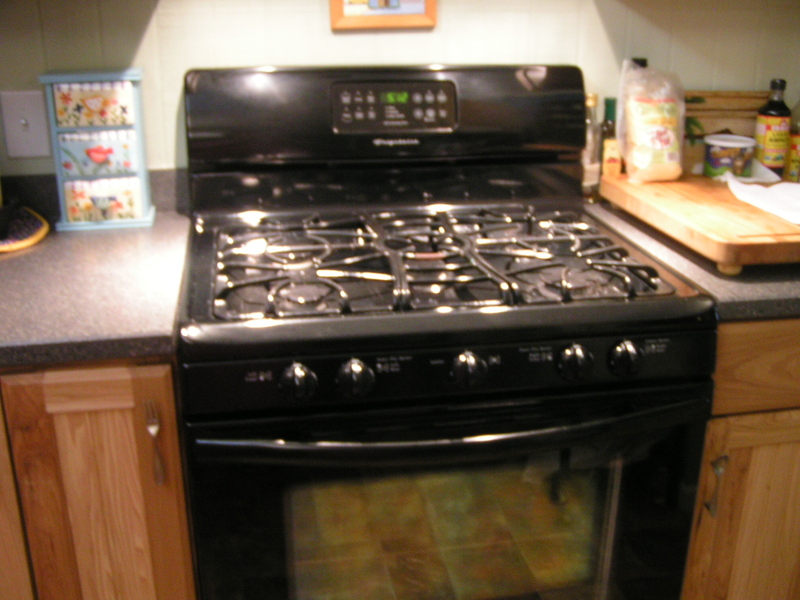 Does anyone know how to clean a black stove? Ok back to cooking. Next I needed a cup of stone ground grits. 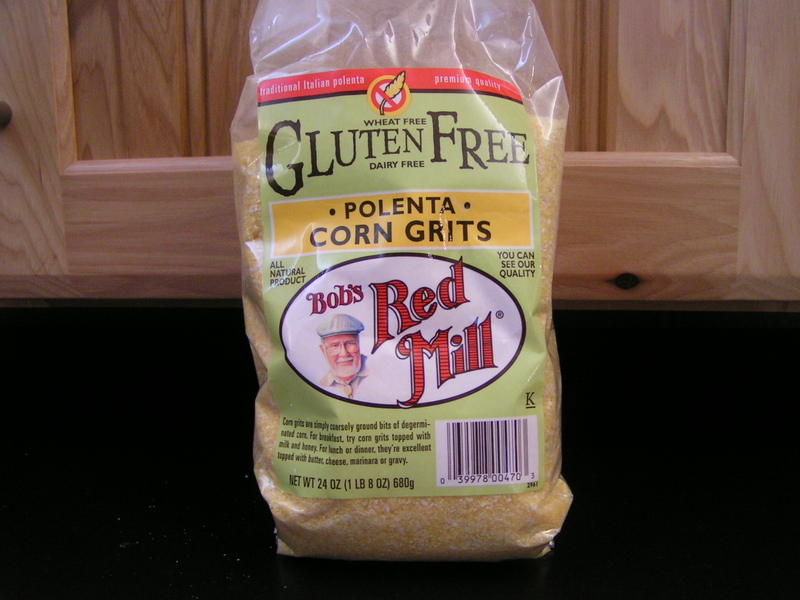 I only use Bob’s Red Mill. Nothing else compares. This is our favorite butter. Gary has to order it online. 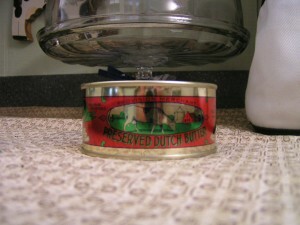 Dutch Butter. Oh is it good. If you ever get started eating good butter you won’t be able to stand margarine. I needed 3 tablespoons of unsalted butter. This is salted so I did not add extra salt to the grits when I started cooking. This is Gary. Yes Aunt Jan he gave me permission to use this picture! She knows how shy he is and he is not exactly how can I say it..properly dressed. But he does have pretty legs..Oh ok back to the cooking.. 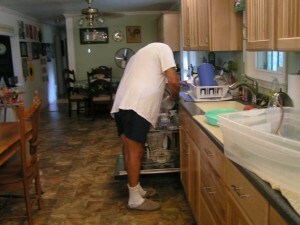 He is a great helper and husband. I think I am going to make this picture my screen saver! 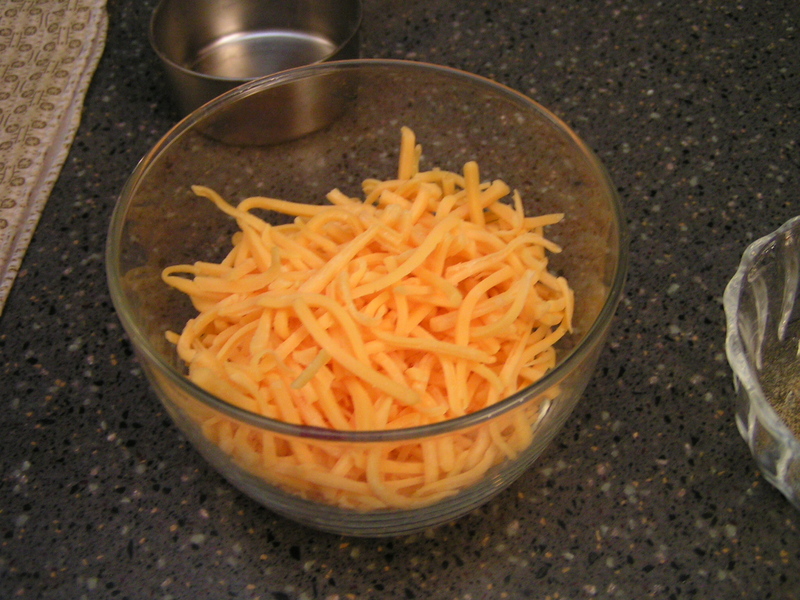 1 Cup of sharp cheddar cheese. I used a cup and ate a handful! Well I had to test it to see if it was ok! A dash of pepper from Penzey’s. I have thrown out ALL my spices and replaced them with spices you get at Penzey’s. 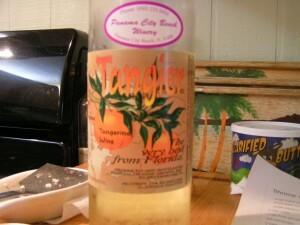 There is a store in Homewood, AL but you can go to www.penzeys.com and order anything you want or check to see if there is one in your area. I like going there in person because they have glass jars with everything they have and you can raise the lid and smell and come home with a basket full. 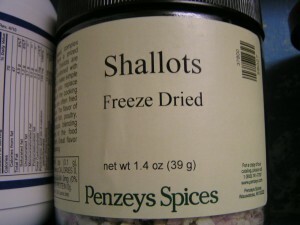 I keep one of the crispers in the bottom of the refrigerator full of Penzey’s spices. If you ever get some of the spices the stuff you get in the regular grocery stores is nasty compared to these. They are awesome! You can go to the website and sign up for a catalog and order from home. I love the Vietnamese Cinnamon. Grits are cooking. Now when they are ready take off the eye and stir in the cheese, pepper and butter and salt if you wish to add salt. Put a lid on it and forget it. Gary was over at the stove preparing the grits and I was at the main sink tearing the legs off the shrimp, ripping off the shells and snipping off the tails. Then I rinsed them and decided to cut each in three pieces. Gary brings home the bacon, I fry it up in the pan! Oh I know I am being so silly. The recipe called for 6 pieces. I did not want to cook 6 pieces so I cooked 5. The recipe called for 1/2 cup of sliced scallions. 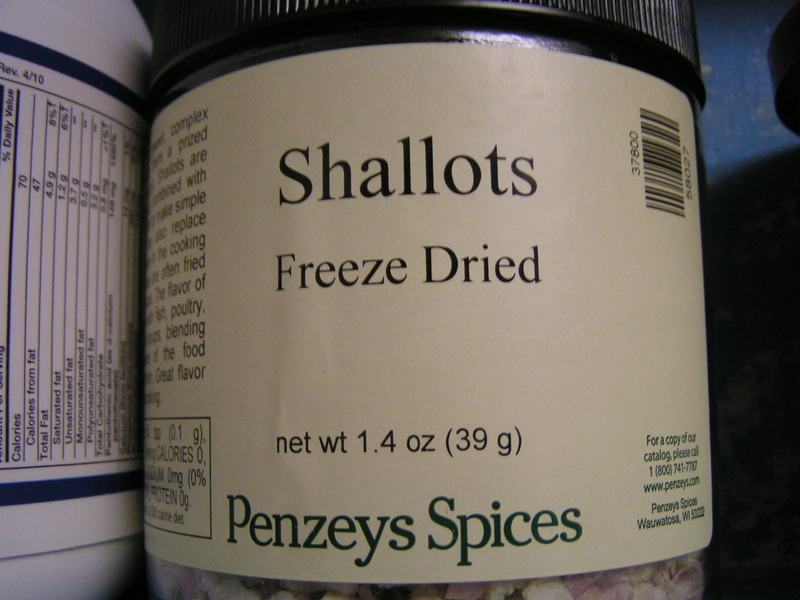 I do not have any sliced scallions but I have some freeze dried scallions from Penzey’s. 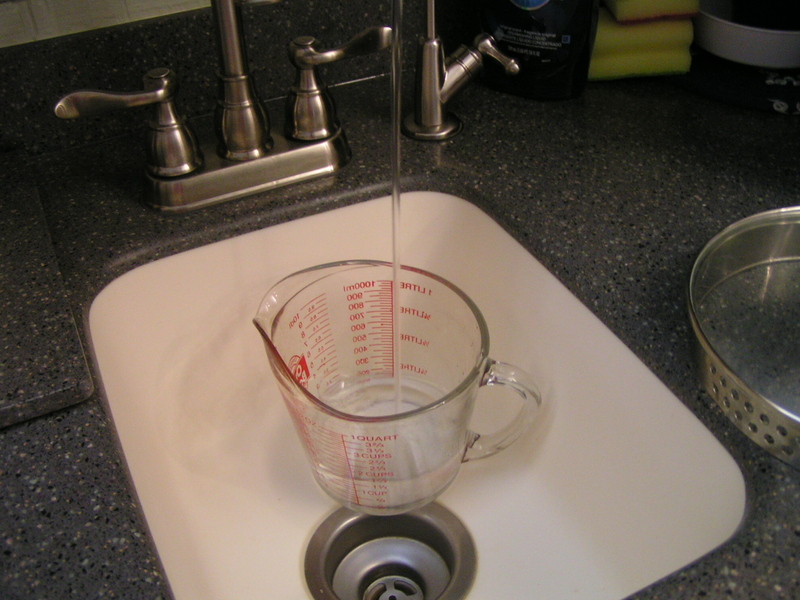 I used 1/2 cup and I wish I had used 1/4 cup. It was a little strong for me. 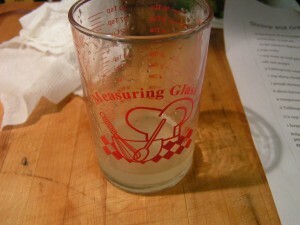 The recipe called for one large garlic clove minced. 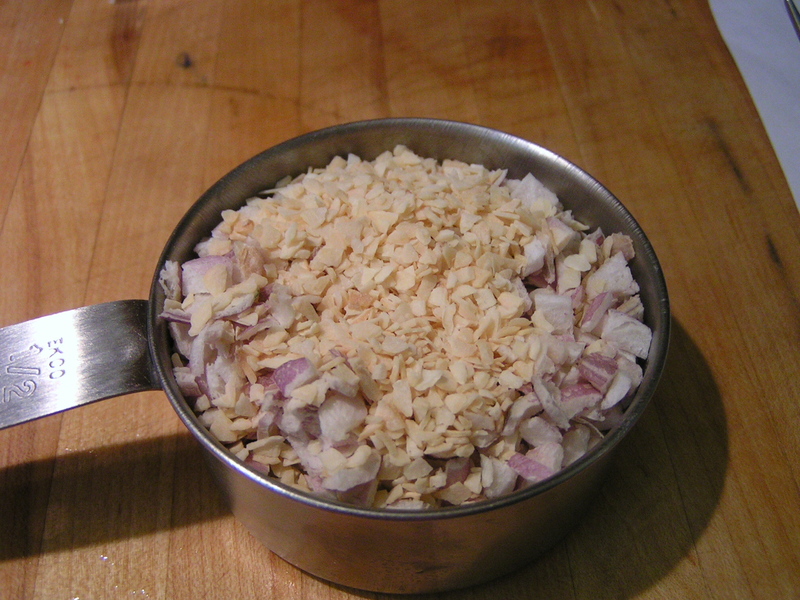 I did not have a fresh garlic clove but I have minced garlic from Penzey’s. 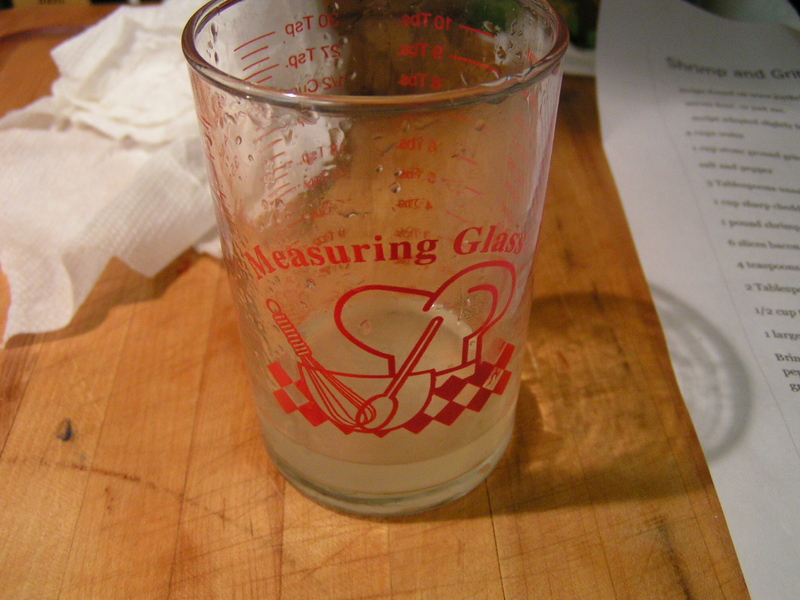 By this time the bacon was cooking, grits were ready and Gary had loaded the dishes as I was cooking and he squeezed 4 teaspoons of fresh lemon juice for me. He’s such a good little helper! The recipe said to take out the bacon and put on plate and then save the drippings . 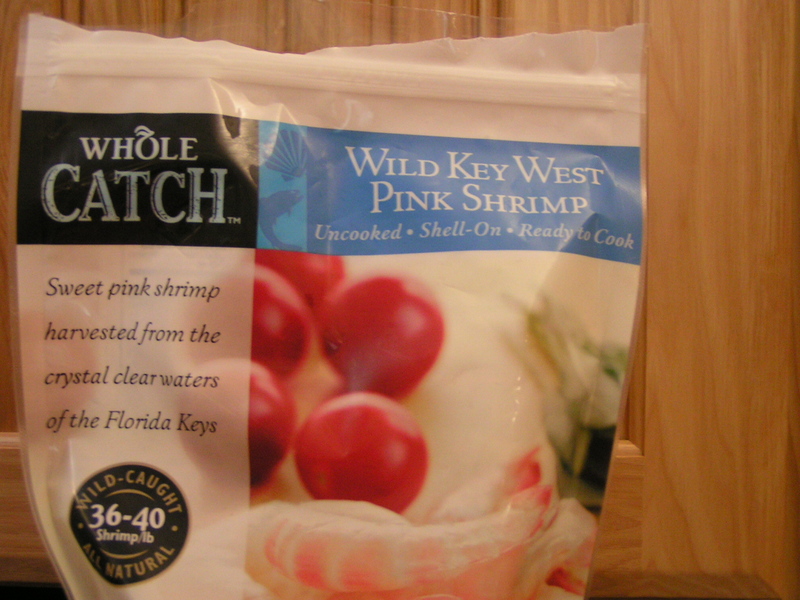 Put your shrimp in and cook until it looks pink. Well it looked pink when I pitched it in the pan but I cooked it with the bacon for about 3 minutes. I did not want to take the bacon out. 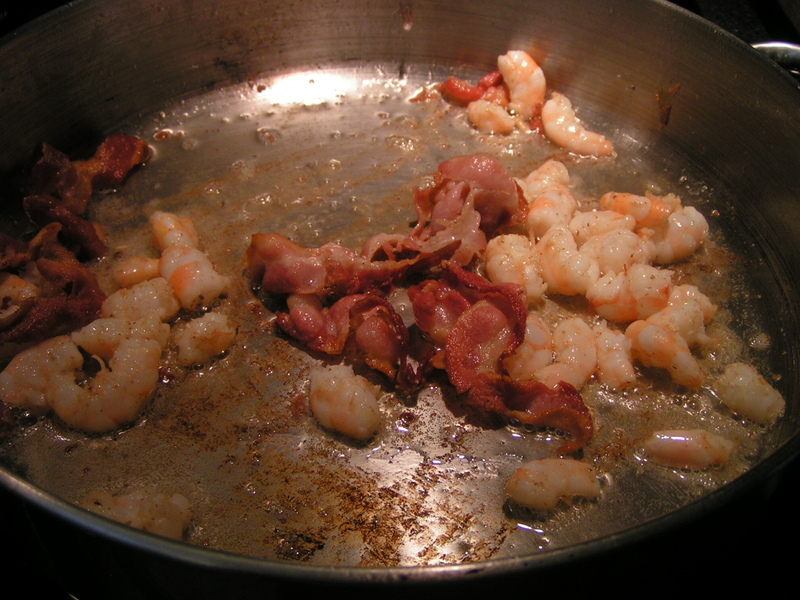 So I mixed the shrimp, bacon, onion garlic mixture, lemon juice and stirred it around for a few minutes until I thought the shrimp was ready. Then an idea came to me..Why not put a tad bit of tangerine wine in the pan and stir it around. One for the pan, one for me! Oh I did not have one yet but I am serious thinking about going getting me a nip for the night in a few minutes. Just to calm my nerves from cooking. Just saying! Put the grits in a bowl, add the remainder of the mixture on top. YES IT WAS DELICIOUS.. 2 snaps and around the world! I am not sure if I will make it again soon. I was cleaning up the stove and announced to Gary, “from now on EVERY recipe will be in the crockpot. So I guess I will have to find a shrimp and grits recipe for the crock. Paula Deen can you help a southern Sistah out? I am glad I tried it. We both liked it, and it only took a few minutes to cook. Here is the recipe from the site. While you are on the site enjoy the other things Joy the Baker has. It all looks heavenly. serves four, or just me. Bring water to a boil. 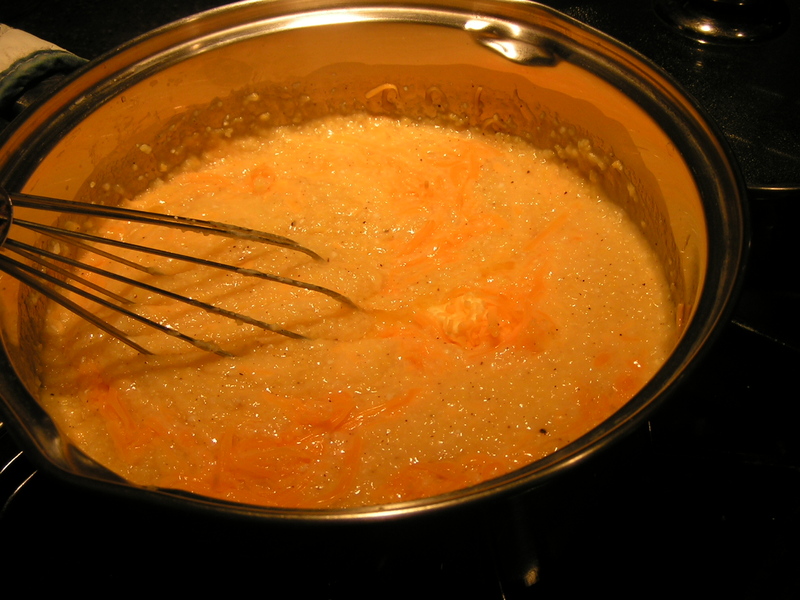 Add grits to the boiling water while whisking to prevent clumps. Add a bit of salt and pepper. 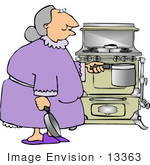 Lower heat, bring to simmer and cover until water is absorbed. 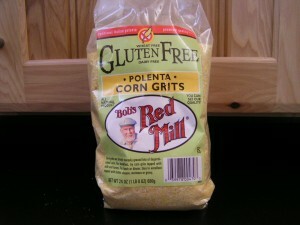 Follow the directions on your box of grits or polenta. Cooking times vary. 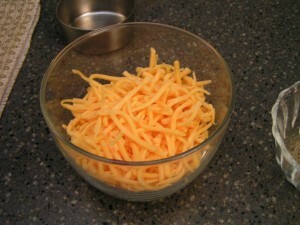 Once thick, remove from heat and stir in butter and shredded cheese. 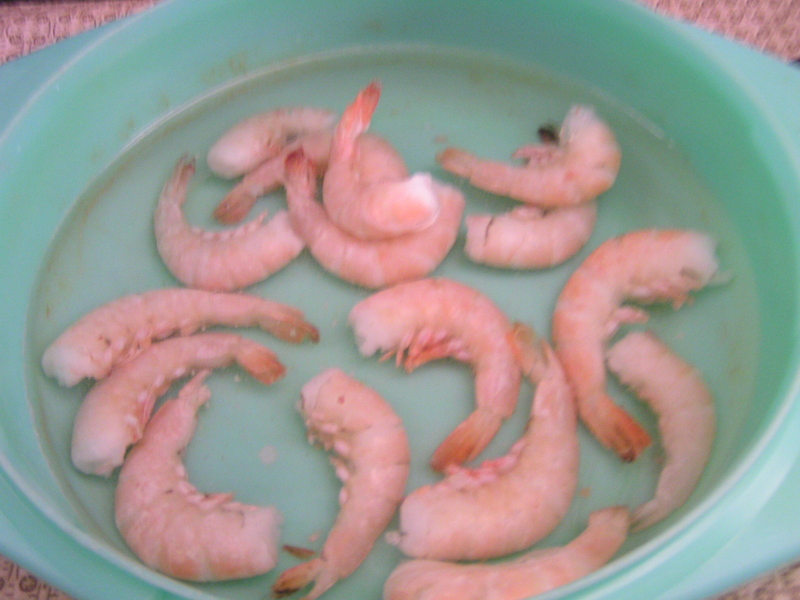 Rinse and pat shrimp dry. 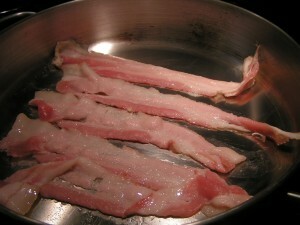 Fry the bacon in a large skillet. When cooked through remove from the pan and add shrimp into the bacon grease pan. Cook until shrimp turn pink. Add lemon juice, bacon, scallions, garlic and parsley. Cook for another three minutes. This entry was posted in Cooking With Sadie, Main. Bookmark the permalink. One Response to Shrimp and Grits. Cooking With Sadie! After watching American films and the like, I’ve wondered for a long time what grits were, and now I know – it’s polenta!! Thank you for sharing the recipe. I tried cooking with polenta, without much success, after having a delicious portion of it in a restaurant. Sounds good to add cheese to it so I’ll give that a go next time.